What to do with your lowly 92 horsepower Civic hatch? 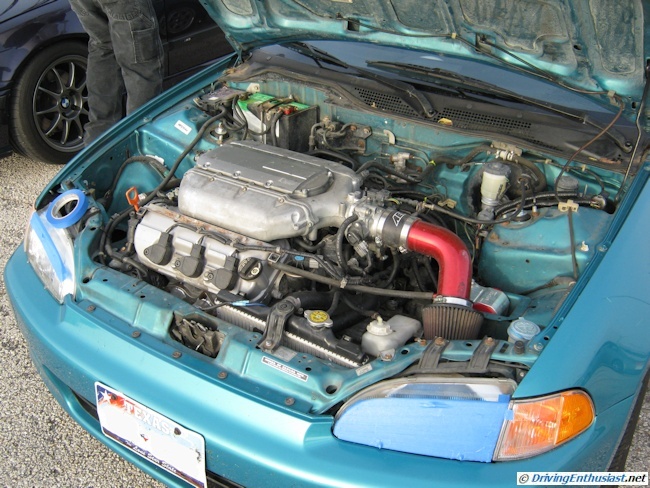 The usual and most popular swap route is a 1.8- or 2-liter VTEC DOHC 4, and the extreme route is a Chevy small block and rear wheel drive. This particular swap took the middle ground, but still the road less travelled. How about an Acura V-6 – pulled from its wrecked donor in an apartment complex parking lot! 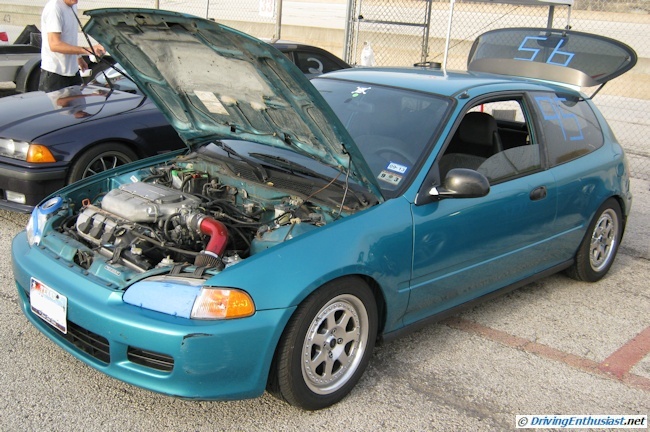 We spotted this swap in person at Texas World Speedway, where it completed a weekend open track HPDE event. All in all, a very nice and clean swap with even more potential. Very clean on the outside, although the very slight hood clearance bump and the large wheels and tires suggest something is up. 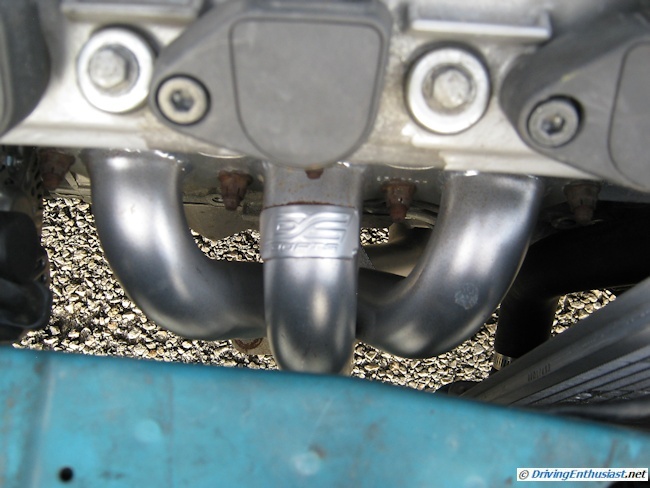 3 engine mounts, and off-the-shelf DC Sports headers. Overall weight balance has shifted slightly forward, but the engine and manual transmission easily fit. Note the small radiator necessitated by the forward cylinder bank. While we didn’t get to check with the owner, we didn’t see any over-heating while on the track at speed. 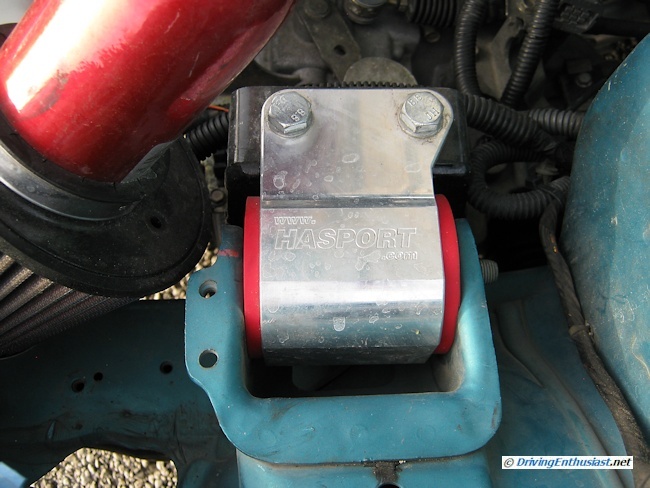 Hasport engine mounts (3) – one to each side and 1 to the rear. DC Sports headers preclude a full-width radiator. 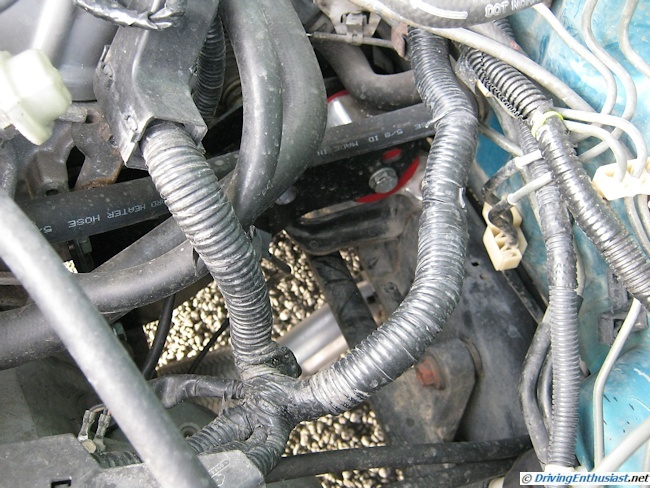 Wiring and rear engine mount. 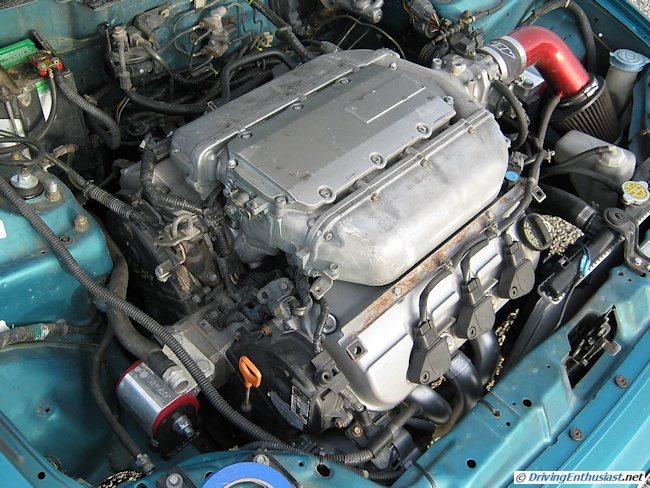 Follow our series of engine swap posts using the “Swap” tab below!